Some of us here at Christmas Light Source think battery lights are the best things created since sliced bread. We seriously love our battery powered LED Christmas lights! 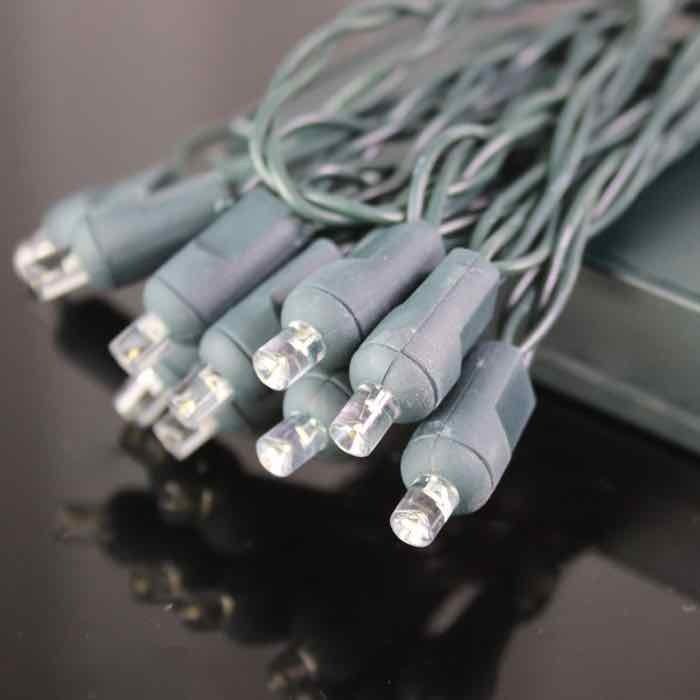 If you don't want the hassle of electrical cords on your smaller decorating projects, these are the ideal choice. 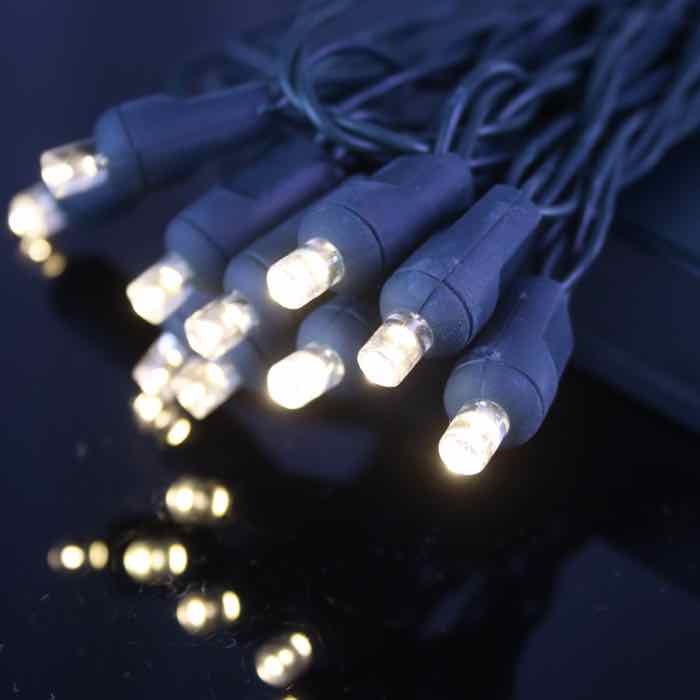 Each 20 LED light string has a total of 9.5 feet of lit length and requires 3 AA batteries (not included) for operation. They are not stackable. Wide angle lenses on these Battery lights give off a wide array of light, which just shows off your projects even more. This is a simple, but beautiful way to light up a wreath on your front door. They have an 18 to 24 hour burn time with new batteries. One of our favorite ways to decorate a table is to place natural or artificial greenery down the middle. Weave your battery lights in and around. Add ornaments, flowers or leaves (depending on the season) and you have a showpiece for your next party! 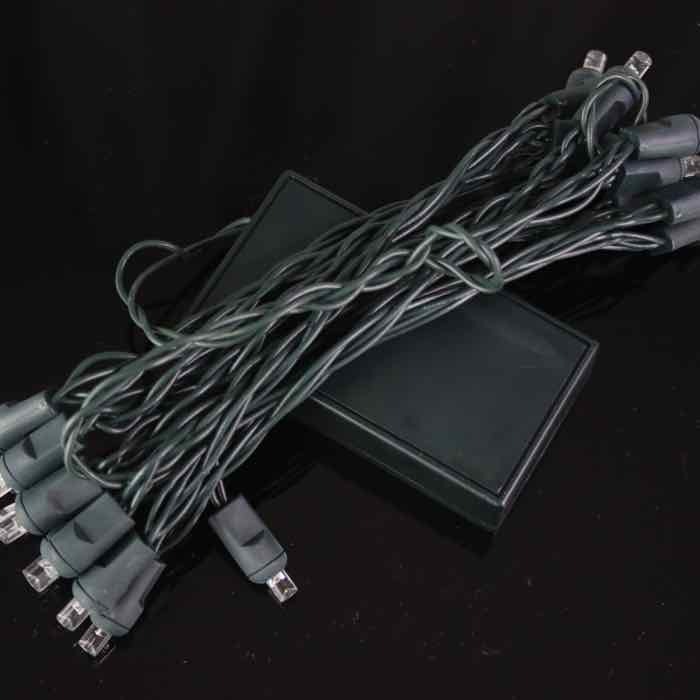 Consider using these battery operated warm white LED Christmas lights all through the year! 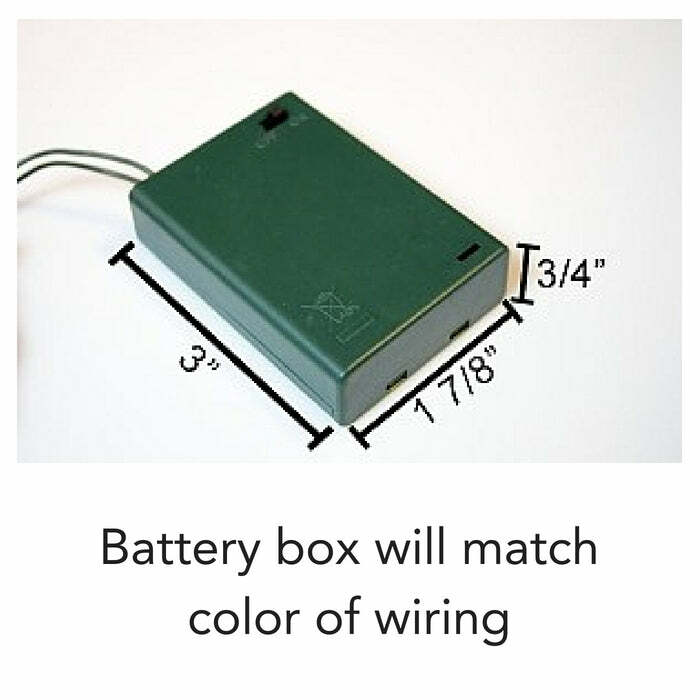 Q: Does the battery pack have 6 hrs. on and 18 hrs. off? Can these be used outside? Thanks. A: Thanks for your question - it's a good one. These battery lights have a simple on/off switch. 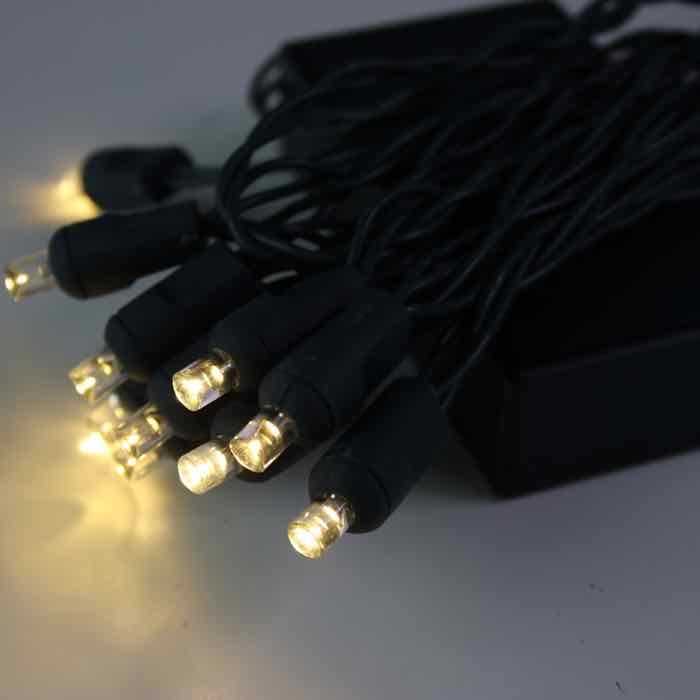 As with most LED battery lights, these have a lifespan of about 18 hours per set of 3 AA batteries which makes them ideal for parties and events but can make them inconvenient for long-term use. They are rated for indoor and outdoor operation. I hope that answers your question - let us know if you have others. Q: Can I order replacement bulbs. Are these push in bulbs not screwed? A: The bulbs in these strings cannot be removed or replaced. They are made with single-piece construction so there are not replacement bulbs.